Being a student, by definition, means you’ve got to do all you can to save every penny you have. And if you’re saving those pennies for investing, each of these steps will help you get there quicker. Freshmen, you’ve got an advantage – you’re starting from the bottom, so you get to build a super strong foundation. Upper classmen, you may have a few habits to break…but you can do it. Stash away each dollar these tips help you save and you could be around $10,000 better off than the average student at the end of the year. Sounds sweet, right? Then, let’s dig in! This is your biggest savings. If you live on campus (or even if you live off, but close), you can save as much as $6,735, according to a report by AAA last year, on a small size car. Walking to and from class is not only healthier for your heart, it’s healthier for your wallet. And if you need a car? Well, just rent one for the day you need it. Use a service like Turo, which allows you to rent a car from someone not using theirs. It’s a cheap and easy way to get around! And save big. If you’re like some college students, you could be spending as much as $1000 a year on soda (or beer). Stop it. A frat party can teach you a lot about personal finance. There’s a grand in your pocket right there. Now, you’ve got to rely on something to quench your thirst and that doesn’t mean buying bottled water either. 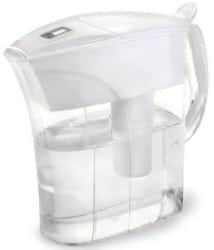 Because if you’re also drinking your 64 ounces of bottled water a day, you’re probably spending around $1,460 a year on it. But, don’t worry, there’s an option that’s just as healthy as the bottle and much less expensive. Your next biggest saver can save you as much as $600 per year on food. 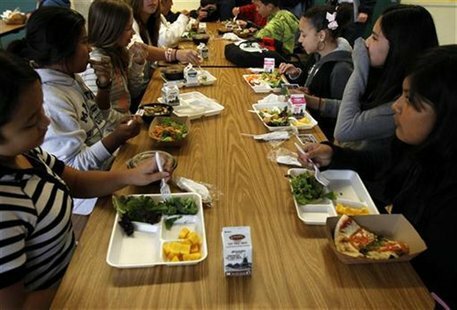 Eating at the university campus without a meal plan could cost you around $17 per day (assuming you eat three meals a day), adding up to $1904 – without a meal plan. But buying a meal plan that allows you to eat three squares there could cost you around $1,700 per 16-week semester. Saving you $200 per semester ($600/year). And if you can cook at home, don’t eat out if you want to save and not utilize the University Mess Hall. Yep, you can literally cut your spending in half or 2/3 for housing and utilities off-campus by taking on a roommate or two. You may have to swallow a few bad habits, but in the end…isn’t the savings worth it? Get rid of all your stuff. I mean, you need a bed, a laptop, internet service, and a cell…maybe some DVDs. Oh and some clothes. But what else do you really need? You’ve got your head buried in your books and this is a great time to take advantage of less “stuff”. Call yourself a Minimalist and you’re not poor, you’re chic. Want more tips to get started? Check out this article on Becoming a Minimalist. Instead of buying CDs (do you guys still do that??) 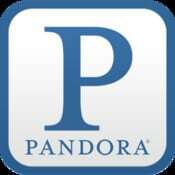 or downloading songs from iTunes, take advantage of the endless stations on Pandora. And while you’re getting free tune-al entertainment, watch movies and TV online for free and don’t pay for cable or satellite. Although, if you’ve got access to free gym facilities on your campus – USE THEM. If not, join a sports club on campus. Learning how to play some sports is not only good exercise, it’s a great way to socialize and meet new people – (ahem, solving another entertainment problem if you don’t have TV). Instead of paying full price for your laptop and software, check out Apple’s tech for education discounts for students. I highly recommend always looking for the education store for any software you may need. Your university bookstore may have some software titles, but most major companies offer discounts to students as well. Find a bank that offers free student accounts to avoid paying for checks and high fees on services they offer to the rest of us. Check out this for options on free checking accounts. If you have to get a credit card, get one that offers zero percent intro APR with no annual fees. You’ll get a low intro rate, and you can get points for purchases that you can use to get other things you need or want online. Read up on what to look for when applying for student credit cards. Warning: The trick to not paying interest is paying your balance before the end of your billing cycle if you’re going to use the card beyond the free intro rate. You don’t have to spend hundreds each year on textbooks anymore. Look for them online, try to rent them, and check out sites like Chegg.com or see if you can get your books cheaper at Amazon. Also, check out our guide to comparing the best textbook rental companies. It could save you hundreds in books each semester. You’re last and best way to end up in the black at the end of the year is to start a business. Yeah, you can. You know how to do something that your friends don’t, so capitalize on your talents. This is the Golden Age of the Entrepreneur…and you can take your slice of that pie now; you don’t have to wait to graduate. Start an online business or become a tutor for your friends and neighbors – maybe even take on some of those poor high schoolers you left back home. Skype is a wonderful way to conduct tutoring sessions if you’re not available to meet one on one. Your opportunities are endless – live your full potential even now, as a student, and earn your full keep. Want more ideas? 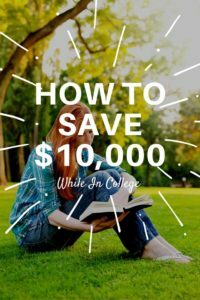 Check out this list of 100+ Ways To Make Money In College. Put all or as many of these tips into practice as you can right now and end the year with a positive cashflow – instead of ending it in the red like so many other students. What tricks do you have to save money in college this year? During college I did a number of things to reduce spending and earn income. I worked part time jobs (earn income, food benefits if in the hospitality industry, and reduced spending on social outings). I also ran an eBay store and used expensive software bought cheaply through the university to do freelance work. I’m definitely going to cook at home, because portions are huge at restaurants, and I do not want to gain weight. Hopefully I can generate some extra cash flow from my blog when I go to college, that about an extra $200 or more a month. I think I can become a minimalist with just about everything but my music gear, that’s not going to happen. I guess we’ll see how much i can save next year, can’t wait!